Posted on Monday, January 25th, 2016 at 5:30 am. Have you ever found yourself staring at the blinking cursor, unable to come up with anything to blog about? It used to happen to me a couple times a month. I wanted to post, but I just couldn’t think of anything to post about. Over the years I’ve developed some fail-proof ways to generate blog post ideas. 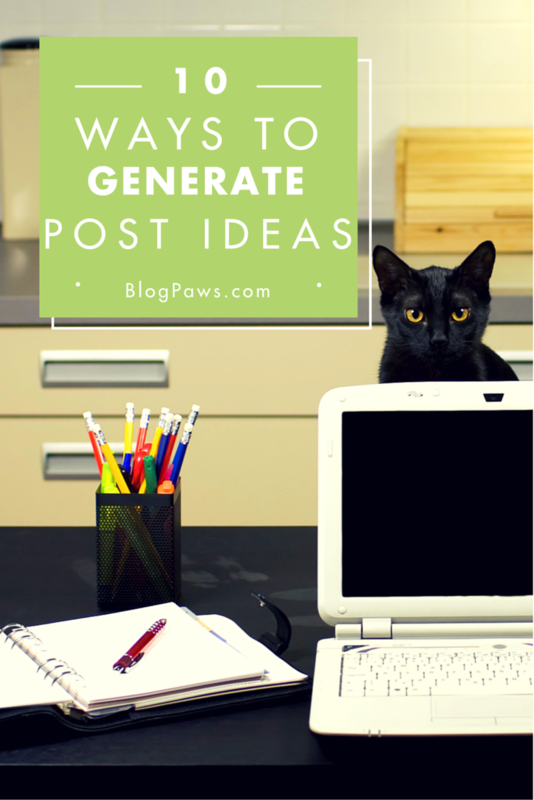 Here, I share my top 10 methods for coming up with fresh, insightful blog posts. Keep a notebook. Carry it everywhere. I love the pocket-sized Moleskine notebooks because, well, they’re pocket-sized. You never know when inspiration will strike, and if you don’t write it down, it’s likely you’ll forget it. Stash small notebooks in your purse, pocket, or even glove compartment so that when an idea hits, you can jot it down. Periodically flip through your notes and transfer ideas to your editorial calendar. Once you start jotting notes, you’ll find that ideas just seem to come to you. Take pics of everything. When you’re out and about, snap pics of anything you might find interesting–even if it isn’t strictly pet related. So often I find myself scrolling through my phone’s gallery and remembering moments that would make a great story. Or, if I’ve captured a particularly nice photo, I save it to my Google Drive as a potential illustration to a future blog post. Step outside your sphere. Feeling like every idea has already been done? Or that you’ve seen other bloggers already tackle all of your ideas? Don’t get bogged down in a same-old rut. Step outside of the pet world to look for new ideas. Pick up magazines from other industries. Download eBooks from lifestyle and design websites for a fresh visual perspective. Instead of toggling through your usual Instagram feed, click the magnifying glass and scroll through Explore. Track your day. From the time you wake up to the time you go to bed, keep a running list of everything that you do (or don’t do!) in the course of the day. You might unearth a gem in your habits and routines that you take for granted but could help your readers. For instance, I recently shared how I administer a gigantic pill to my dog–something I don’t think about any more because it’s part of our daily routine–but my readers found helpful. Conduct an interview. Is there a blogger you admire? Or a pet retailer who’s helped you find the right product for your pet? Or a cat sitter who’s a pro at deciphering your cat’s behavior? Everyone we interact with has a story. Grab a cup of coffee with someone new and ask a few questions about their expertise. It might spark some ideas for a future post, or you could share the content of your interview (with the interviewee’s permission, of course) as the post. Listen to podcasts. 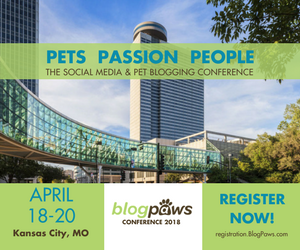 We bloggers and microbloggers lean on visual and written content. Step outside that comfort zone and listen to podcasts. Whether they’re pet-related or not, exercising that different part of your brain can help you relax and generate fresh ideas. Attend an event. It’s important to change out of those blog-at-home sweats every so often and get out among other people. Whether you’re volunteering at an animal shelter, attending a cocktail party for your spouse’s day job, or running a 5k, getting out of the house exposes you to new places and people. Not outgoing? I’m certainly not, so I find that doing things around my interests eases the discomfort. Research a topic of interest. Pick a topic, any topic, and start googling. Don’t put a time limit on yourself. Let your imagination go wild. As you dig deeper into a new subject, you’ll spark tons of ideas that may or may not work for a blog post. But, the act of researching, of being inquisitive, will get your ideas flowing in novel ways. Take a nap. Or a walk or a bath. Do something that relaxes you. Too much stress stymies fresh thinking. Meditate, swim, teach your hamster agility–do something that takes your mind off of not having ideas, and the ideas will flow. Seems counter-intuitive, I know, but it works! Do you ever feel stuck? How do you get out of a writing rut and come up with fresh blog post ideas? Do any of these methods work for you?